CP Reykjavík is a dynamic and creative destination management company which organises events, incentives and conferences in Iceland for both domestic and international clients. Our expertise in the field of preparation and execution of meetings, conferences and exhibitions, events, parties, team building and motivational days is based on decades of hands-on experience and practice in the field of PCO, Event Management and the MICE sector. We are also a fully licensed DMC / travel agency and can offer your group an amazing experience during your stay in Iceland. We tailor our services to your needs and have plenty of tips to make your event as successful as possible. CP Reykjavik was establised in 2015 after the merger between Congress Reykjavik (PCO) and Practical (DMC & Events). Both companies had a long and established presence in the market. Since the merger, two companies have been acquired, Your Host in Iceland and First Class. CP Reykjavik is the only service company in Iceland that offers full service to all sectors of the MICE industry. Whether it is an incentive with a creative award ceremony, a conference with local touches or an event with a twist, our team pulls together to create the best possible experience for you and your clients. 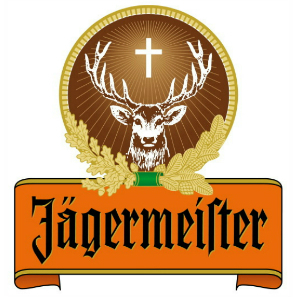 CP Reykjavik organised the 3-day Jägermeister Brand Manager Conference Western Europe and they did a fantastic job. Everything was organised perfectly with a lot of love to every detail and CP Reykjavik were very professional and very pleasant. This enabled us to experience Iceland in the best possible way! Anna has always been our Icelandic expert with an unrivalled knowledge of this diverse and dynamic destination. From snowmobiles to scuba diving she never fails to impress, from proposal stage to onsite delivery! CP Reykjavik is fully licensed travel agency approved by the Icelandic Tourist Board. We are also fully insured and can provide documentation in regards to both the license and insurance if needed.